Do you ever hear a sound that reminds you of marbles dropping coming from the roof? If so, you might be worried about a ghost, or more plausibly a mouse or something else lurking in your loft space. Thankfully we’re here to solve that minor mystery. Rather than a ghost rolling marbles up above you as your over active imagination might suggest at 3 in the morning, there’s a rather more mundane answer to the question of – what’s making that sound above me? That annoying, or perhaps even frightening sound, that’s troubling you a lot (or you wouldn’t have search for this post right?) is created by nothing more than a change in water pressure. The change in water pressure in the pipes connected to your toilet is responsible for the noise that’s troubling you. This pressure change makes the pipes vibrate which creates the clanging sound you’re hearing in the dead of night that appears to be coming from the loft. That’s the sound that reminds you of marbles falling. There’s also another possible explanation. Another theory that goes around about the noise is that the noise occurs when pipes expand and contract as the environment warms up and cools down. Any concrete in the property will also expand and contract with the heat or the lack of heat. Some folks will tell you that certain builders put marbles into the concrete they use to counteract the expansion and contraction. 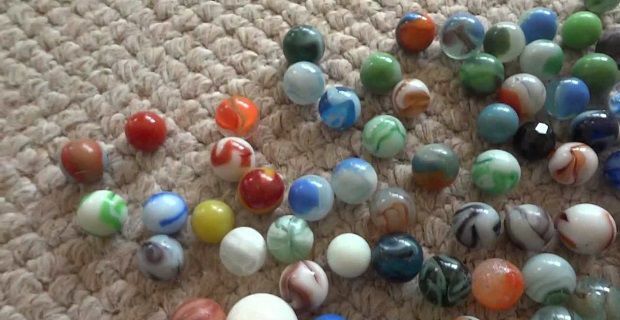 That would explain the sound, but we’re not sure that marbles are ever used in construction.